University of Glasgow :: World Changing:: Groundbreaking statistical analysis of compositional geological data. 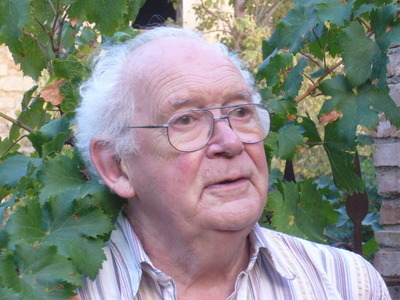 In 1986 John Aitchison published his seminal work entitled The Statistical Analysis of Compositional Data. He defined compositional data as quantitative descriptions of the parts of some whole, conveying exclusively relative information. "He has done important work in statistical research that is crucial to the advancement of quantitative thinking in the earth sciences.... The International Association can be proud, honored, and grateful to include John Aitchison among its distinguished Krumbein medallists"
His methods are suited to apparently diverse fields and have therefore been used widely in for example medical statistics and household expenditure pattern analysis. However, it is in the Earth Sciences that his work has found the most prominent recognition, winning him the prestigious Krumbein Medal from the International Association for Mathematical Geology. Aitchison, J. 1982. The statistical analysis of compositional data. Journal of the Royal Statistical Society B:44,: 139-77. Aitchison, J. and Greenacre, M. 2002. Biplots for compositional data. Applied Statistics. 51: 375-82. Krumbein Medal awarded in Barcelona. World Changing Project, "Groundbreaking statistical analysis of compositional geological data.," in University of Glasgow World Changing (University of Glasgow, 2010); http://www.worldchanging.glasgow.ac.uk/article/?id=7 (accessed April 26, 2019). World Changing Project. "Groundbreaking statistical analysis of compositional geological data.." In University of Glasgow World Changing. University of Glasgow, 2010. http://www.worldchanging.glasgow.ac.uk/article/?id=7 (accessed April 26, 2019). World Changing Project. "Groundbreaking statistical analysis of compositional geological data.." University of Glasgow World Changing. University of Glasgow, 2010. 26 April 2019 <http://www.worldchanging.glasgow.ac.uk/article/?id=7>.